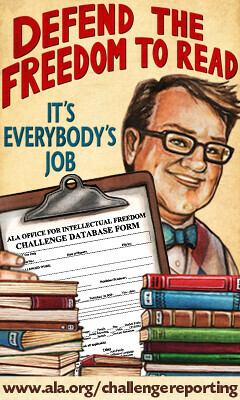 While I understand the “yay intellectual freedom” underpinnings of the original quote, I’ve never been a big fan of it. The implication that the measure of greatness is directly related to creating repulsion somewhere in the library collection has never sat well with me. I concede that this is not the ultimate grading system for the value of a library, but as this is an oft repeated phrase I think it earns some scrutiny as to what it seeks to convey to the listener. 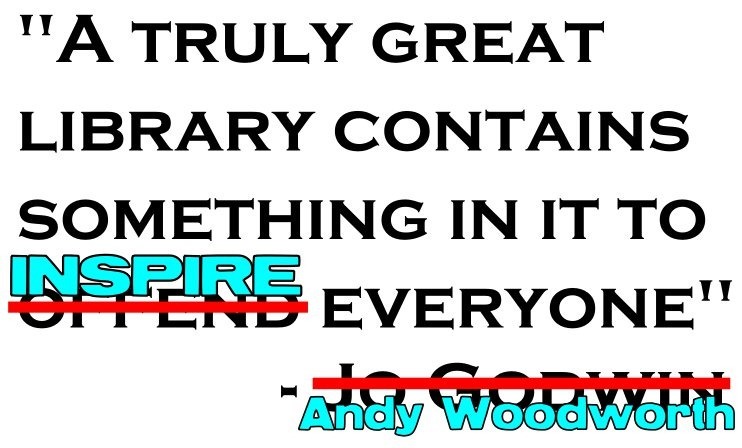 Inspire is the word I substituted because I feel the emphasis should be on what a library can do for a person rather than how it could drive one away. What word would you have put there? Are there other library sayings that could use a little modification of their own? Tuesday will be my birthday. Saturday will be Judgment Day. I would guess that the majority of my readership would think that these kinds of events are completely unfounded and/or silly speculation, but I’m wondering why some of those same people get all riled up by people who write the same sort of dire pieces about the demise of the public library. I have yet to read a strong argument for closing public libraries; most revolve around “everyone” having Kindles, Google, and the internet. That sort of reasoning doesn’t even make me get up from my seat anymore. It’s usually a cover for the real argument of “I don’t want my tax money being spent on things that I don’t personally benefit from” which is a whole different ballgame. So, why do librarians give such credence to any person who writes about the end of the public library? 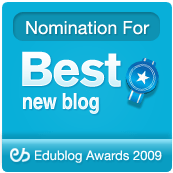 Is the profession really that insecure? Or do librarians have our own irrational fear of an impending public library apocalypse? He goes on to argue that digital readers will be able to provide children with libraries of their own. I would agree with that notion if libraries were simply book access centers; who wouldn’t want to make it easier for readers to get a hold of books? But libraries operate beyond that capacity. 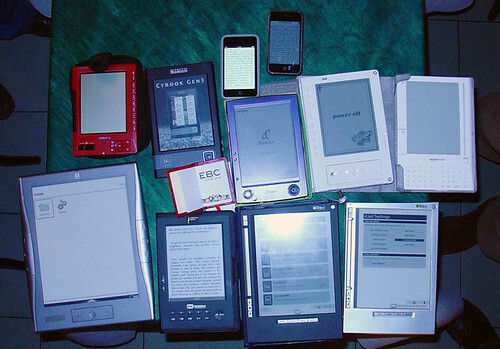 E-readers do not provide the same internet access as current library computer labs; they do not have classes on computer use or other topics; nor do they provide programming for people of all ages. A library also functions as a place, whether for old men to gather and play chess or teens looking for a safe space to be to do their homework and avoid the dangers of the street. It’s a community focal point, a space preserved for mental and social activity the same way parks are saved for physical activity. An e-reader is a poor substitute for an actual place where these ideas can congregate and be exchanged. Mr. Benedictus argues that 2011 will be the year that each child will receive their own library through an e-reader. That may be so, but it will be at the loss of the discovery of books next to those titles on the shelf and a place that houses them. Toby Greenwalt’s recent post asked “Okay, Now What” in regard to the HarperCollins/Overdrive debacle along with a couple of very good questions. These questions are important because they signal negotiating positions from where librarians are (roughly) coming from: what our ideal eBook lending environment would be and what price we would pay for that. They are also important because that kind of introspection examines a more basic question as to whether or not eBook lending is even a viable option. In watching the conversations develop on different fronts, I believe that what I am about to outline is the best course of action moving forward. (1) We work on getting actual communication going with HarperCollins (one blog post statement that simply restates their reasoning is not bilateral communication). I have yet to see anyone post a reply they have received to their messages send to library.ebook@HarperCollins.com, so I’m not sure if that is simply a black hole for people to air their discontent or an actual feedback channel. If anyone has heard anything, I’d love to see it. HarperCollins, if you are actually reading this, consider hosting a conference call that librarians can dial into. We’d like to hear from you in more detail and ask a few (dozen) questions. That might be the easiest way to reach a good number of people who have interest in this issue all at once in a short period of time. This email thing is not working too well here. (2) We expand to contacting authors, readers, library board members, trustees, and friends to educate them on what this change means for us. I’d suggest a sample letter or notice for each group that explains the importance of the perpetual collection and the cultural record that the library maintains. There are other avenues of pressure that should be utilized and we should be looking to expand support for our side. (1) I believe that boycotting HarperCollins eBooks is the most effective tactic at our disposal. It doesn’t deny physical print to patrons and addresses the problem as we see it (the eBook licensing agreement). Since it is a matter of the licensing agreement changes, to make that the recipient of all the protest and attention would be the best and most compelling action. (2) We continue sending letters and emails to HarperCollins, Overdrive (as a client), authors, library patrons, and readers everywhere. We look to both librarian and non-librarian news outlets and take our cases there. We are not out of forums for our discontent, not by a long shot. It is just a matter of continuing to push. How long? Till we get the change we are looking for. I think a total boycott is overreaching since the problem is with the eBooks, not the entire line of HarperCollins products. I think accepting these terms and continuing to do business is an even worse decision for it puts the future of eBook collections entirely at risk. As much bellyaching as there is about a disruption to the workflow since all of the HarperCollins titles will have to be reevaluated for purchases when they hit the magic twenty six number, I assure you that NO ONE will be happy when they are doing it for the ENTIRE eBook collection. For those who suggest that boycotting is against service to patrons or assault on reading, I disagree. Service to patrons is not done in a vacuum; the idea of “giving them what they want” is not without outside considerations for space, staffing, budgets, or means. To ignore the greater issues of future information access in order to give our patrons an eBook now is a complete abandonment of professional principles. The library cannot maintain the cultural record if it surrenders the very materials it wishes to keep to a third party. Art museums do not store their collections at the artist’s studios; neither should we allow publishers to offer eBooks on the electronic equivalent of a yo-yo string. Service to patrons is also not blind devotion in which parting with good judgment or business sense is a prerequisite. This myopic rationale surrenders the future of eBook access in favor of what is easy, what is convenient, and simply another chapter of going-along-to-get-along in the history of librarianship. The people today who are flabbergasted by the idea that library did not order more physical copies of their favorite title will think us stupid when it comes to not having an eBook available because of an expired license. And they will be right. This is a situation in which we as individuals will have to stand together to be the change we want to see in the treatment of eBooks. There is no one who is going to come to our rescue; not the ALA, not our state associations, not authors nor readers. The future of lending and collecting eBooks is what is at stake here. And as they become a greater part of our collections, how eBooks are handled and treated matters all the more. It is important to act now and decisively. It is important for the continued future of eBooks in libraries. Now is the time. Take action.